We all face a time when everything seems to come to a halt: our progress, our growth, our joy – everything. We all reach a certain point when gadgets, relationships, goals, work, hobbies, and even passions stop serving as our source of happiness. Then, boredom strikes. Instead of looking at the sunny side of things, we dig up negative thoughts and go on endless loops of negative self-talk. No matter our efforts, no hope seems to be in sight to bring us back to life. Want to turn your boring life around? But why do most of us allow negativity and boredom to control us? It’s because that’s easy. It’s easy to blame things around us. It’s easy to shake responsibility off your shoulders and to frame circumstances for your now boring life. However, if you look at things with a clearer perspective and deeper understanding, you will find that it’s not impossible to enjoy life again. It’s your choice whether to continue with what you have, or to change lanes towards something better. To make things easier for you, here are some tips to bring back joy into your boring life. 1.) Don’t curse the solitude – enjoy it. There are two types of people: one who goes, ‘Why am I so alone’, and the one who says ‘Thank God, I’m alone!’. Your attitude and perception towards solitude makes a huge difference in your quality of life. Most of us hate to be alone as we think we might be left alone for good (e.g. people will leave us). So we go on feeding our minds with all the reasons why solitude is a curse. However, if you look closely, you will realize that it’s in fact, a gift. 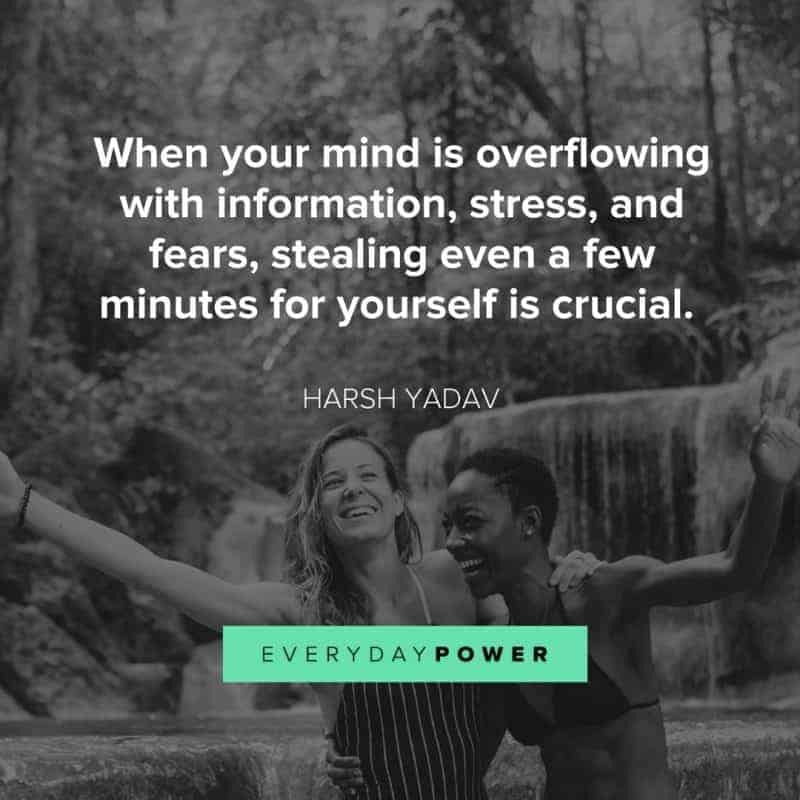 In the time when your mind is overflowing with information, stress, and fears, stealing even a few minutes for yourself is crucial. You need to see the bigger picture and dive into a deeper level of consciousness to see the good side of life again. No matter how things are working out for you, try to spend at least a few moments with yourself. It will help you analyze things on a greater level. It’s also a great way to learn how to stay calm and relaxed. So switch off your gadgets, sit in a comfortable position, cut all the distractions, and enjoy the quiet. 2.) Train your mind to think positive. Have you ever noticed what happens when a negative thought or memory strikes us and we try to resist it? It strikes us back with stronger intensity. What happens when we try to stay unaffected and detach ourselves from the negative thinking cycle? Exactly, negative thoughts lose their power and get lost in the herd of millions of other thoughts. You need to train your mind to think positively. The moment you think you have a boring life, your mind starts throwing all the possible reasons to make you believe it’s true. Every single thought shapes our life for good or bad. Don’t let your mind take control of you. Instead, train your mind to stay calm despite all the chaos. 3.) Re-calculate your happiness formula. What makes you happy? Stop for a minute and come up with an honest answer. If you think a better job, a better car, a long holiday, or even a better life partner can make you happy, then it’s time to redefine your happiness formula. That’s the one mistake 90 percent of people make. They attach their happiness and joy with the presence of material possessions and the pursuit of ‘better’. But when they do get what they want, it suddenly loses its charm. Then they set their eyes on something bigger, and the cycle goes on. 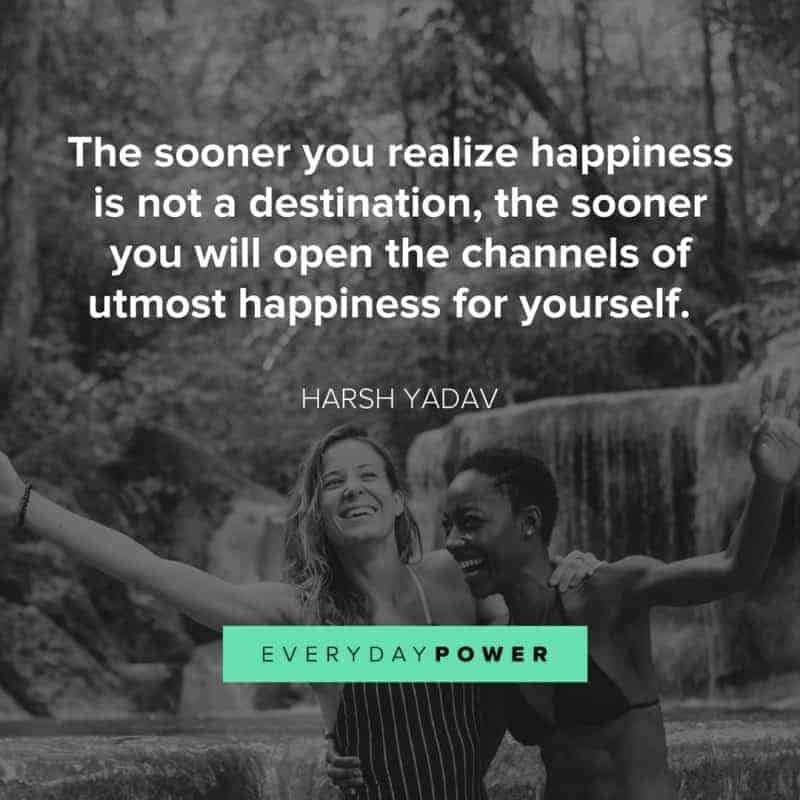 The sooner you realize happiness is not a destination, nor does it lie in things, the sooner you will open the channels of utmost happiness for yourself. Don’t seek happiness. It doesn’t live anywhere but inside you. It’s your duty to bring it back to life from the lone corner of your heart and mind. 4.) Live with a purpose. If you are waking up every morning without a purpose, then you are better off sleeping. If you don’t have a definite purpose for your life, then don’t wonder why you are trapped in boredom. Most of us are just wandering aimlessly in every direction, hoping to arrive at our destined place. We wake up, eat, do our job, come back home, and slip into bed. We never bother to ask “why” because we have adapted ourselves to the monotony of life. We never question why we’re doing what we are doing, or where we want to go. We justify our ignorance by saying: we ‘just go with the flow’. But let me tell you: those who go with the flow are the ones who are afraid to make their own way. Coupled with low self-esteem, they are easily affected by outside forces. Don’t succumb to your boring life. Define a clear purpose and set goals for your life. Try to stay in line with them every day. Every action of yours should be in the direction that can bring to closer to your purpose. After all, a life lived with purpose is a life truly lived. 5.) Stop complaining, start appreciating. Stop complaining and create our own miracles. If you go with the first, no wonder you are slapped hard with a dull and boring life. But if you go with the latter, nobody can stop you in creating a magical, fulfilled life. We often ignore things that are working for our own good, and instead choose to dwell on things which are going against us. That’s the common reason why most of us are too ignorant to pinpoint the cause of our distress. 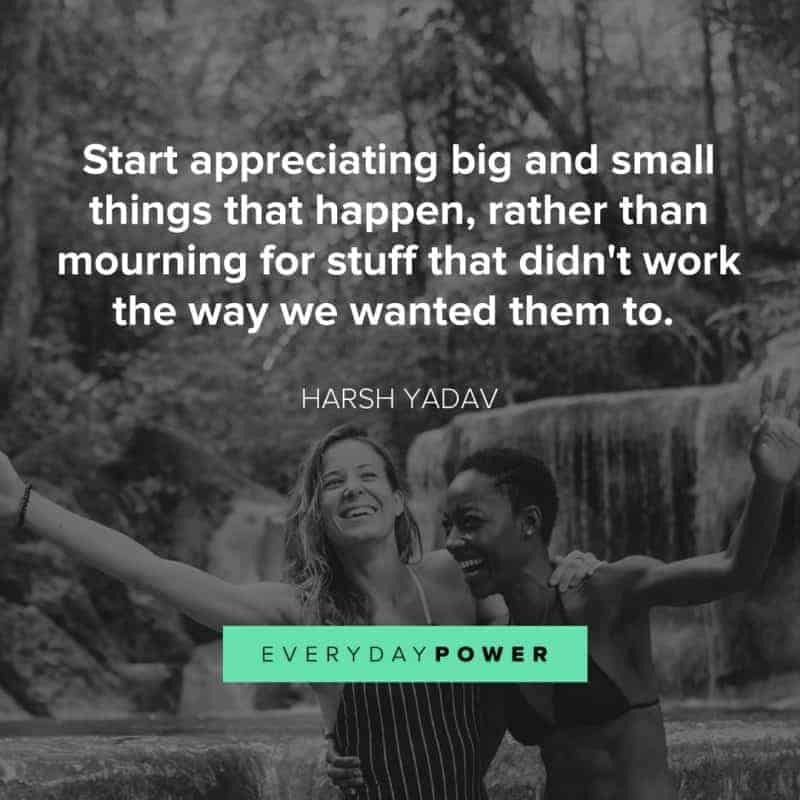 We need to start appreciating big and small things that happen, rather than mourning for stuff that didn’t work the way we wanted them to. We can’t control everything. So rather than complaining, try to channel your energy on to things you have power over. You can’t control rain, but you can control whether you let it pour over your head or not. You can’t control another person’s behavior towards you, but you can surely control your reactions. In order to bring joy back in your life, stop complaining. There’s no such thing as a boring life – it’s you who were bored towards life. It’s us who build walls against happiness and opportunities thrown our way. If we are to come out of this boredom, we need to train ourselves to keep good things coming our way. You need to find both joy and pain in the rain to find your sane. Period!